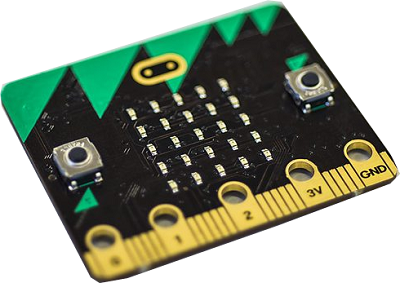 This Lesson introduces the micro:bit as a piece of hardware that has a specific size and weight, and generally must be supported and incorporated as an essential component of a tangible artifact. Focus on incorporating the physical micro:bit into a basic making activity. Exercise creativity and resourcefulness by coming up with ideas for using simple household materials to accommodate the micro:bit’s size and weight in many different ways. Learn how to download programs and move them to the micro:bit file to run on the micro:bit. Use the design thinking process to develop an understanding for a problem or user need. Apply their understanding in a creative way by making a “micro:pet” creature.